Talk to us – RSI can be prevented, but if symptoms do occur, early intervention is the best form of treatment. 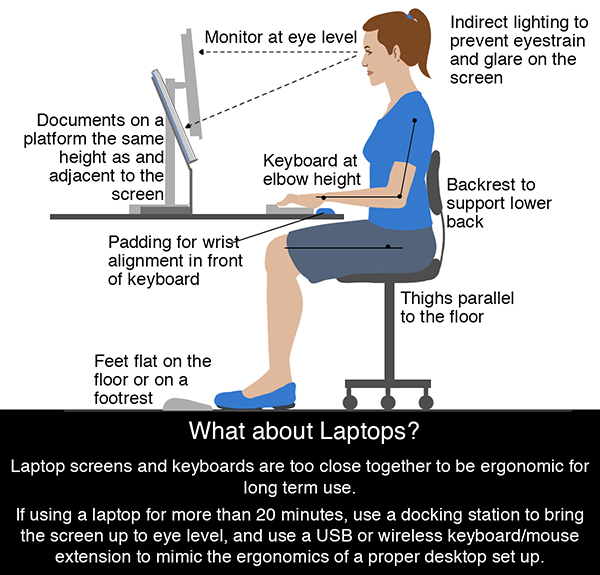 If you are experiencing regular or increasing discomfort while sitting at your computer, take early corrective action. Catonsville and Sykesville Physical Therapy will listen to your symptoms and assess you to help provide appropriate treatment, including information about correct posture and positioning at your workstation. They will also work towards an earlier return to your daily lifestyle as well as provide guidance on how to prevent recurrence of injury.